One of the best things about my French classes, are the friends I am making. Rie, is one such friend. 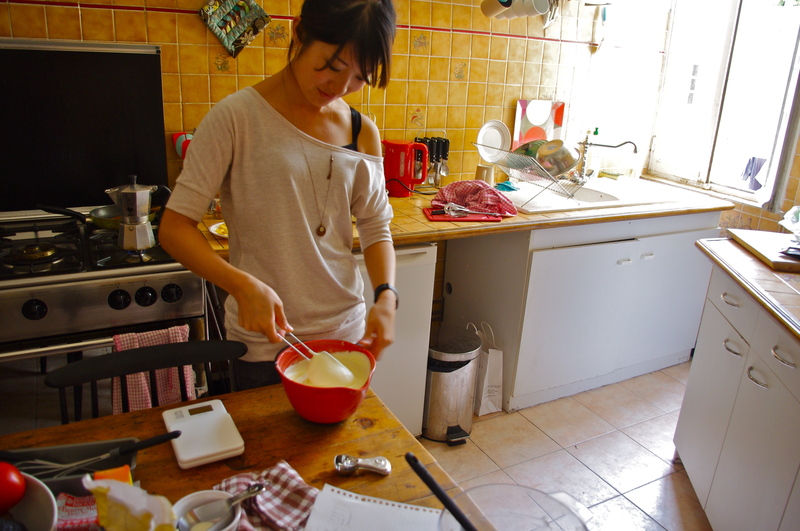 She is an incredibly sweet and smart pastry chef from Tokyo and luckily for me, she agreed to teach me how to make some desserts. 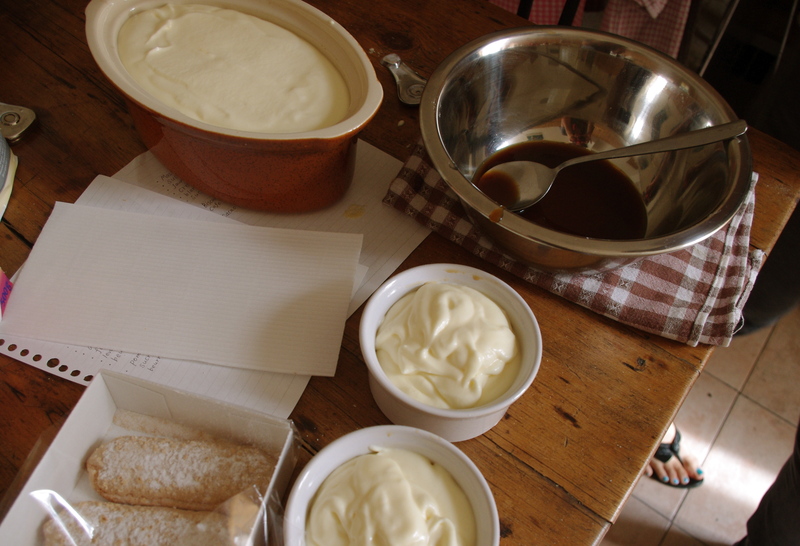 The Englishman’s kitchen here in Nice has a gigantic oven and last weekend Rie came over and showed me how to make a perfect gateau aux pommes and one of my favorite desserts: tiramisu. 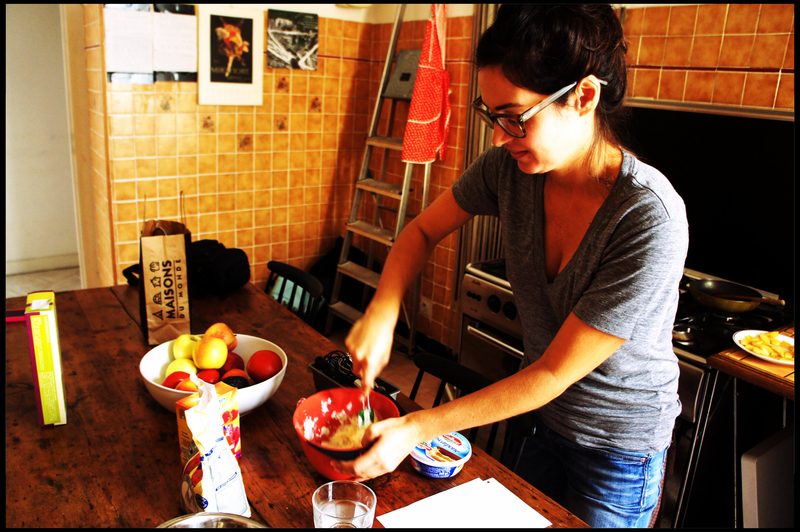 We met at the grocery store and she came armed with a shopping list and a bag full of baking utensils and professional pastry making tools. 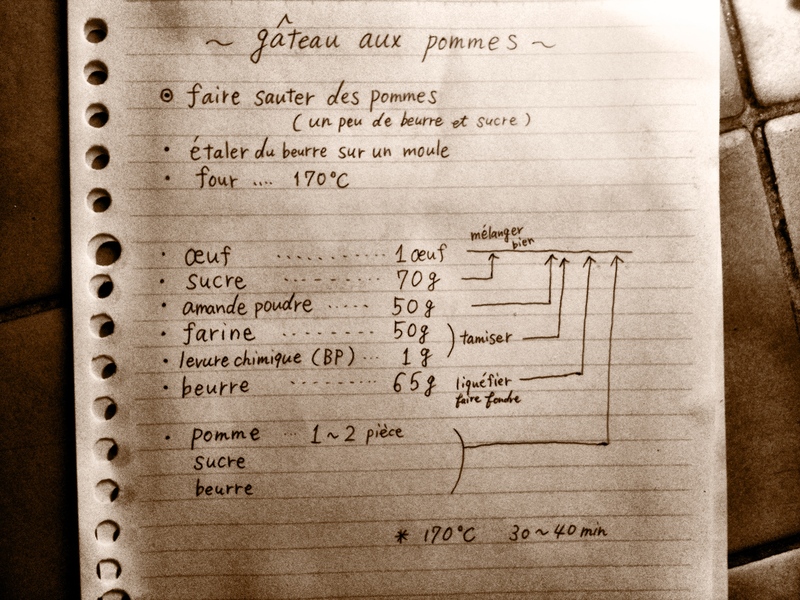 She wrote out recipes translated into French for each confection and walked me through them step by step. She brought her amazing little scale. A total revelation for me. 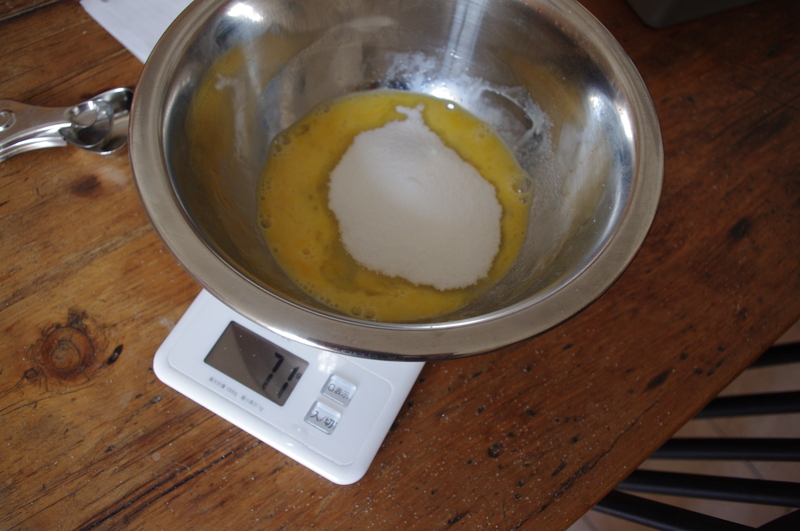 My cooking philosophy of winging it ensures my forays into baking almost always end in failure. But the scale is so exact, you’ll never have to use a measuring spoon or cup again! Rie worked as a pastry chef at a French bakery in Tokyo and now she works at a restaurant here in Nice making patisserie. She is an expert egg white beater and thought the idea of using the electric mixer was funny. 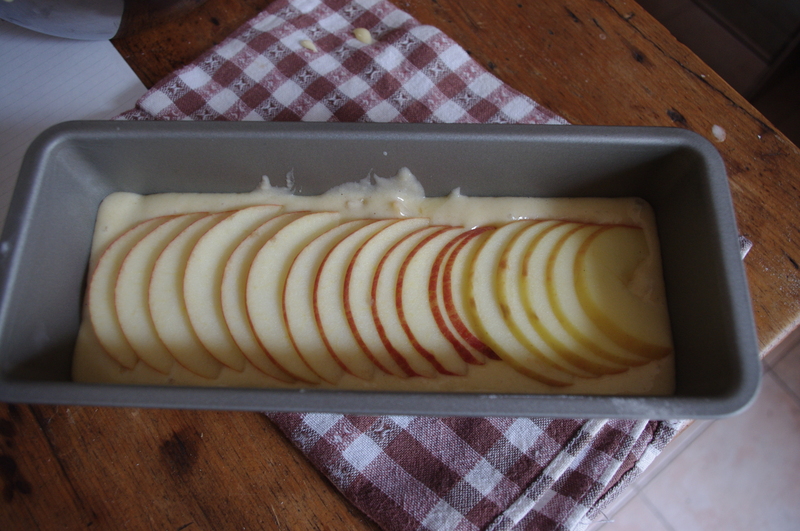 Our gateau aux pommes came out perfectly. 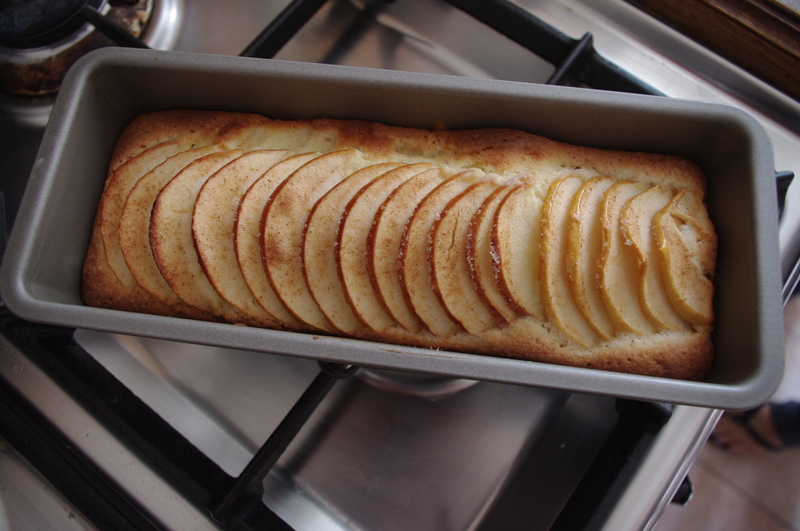 I have never had such a result with cake baking. I think this one will take some practice. 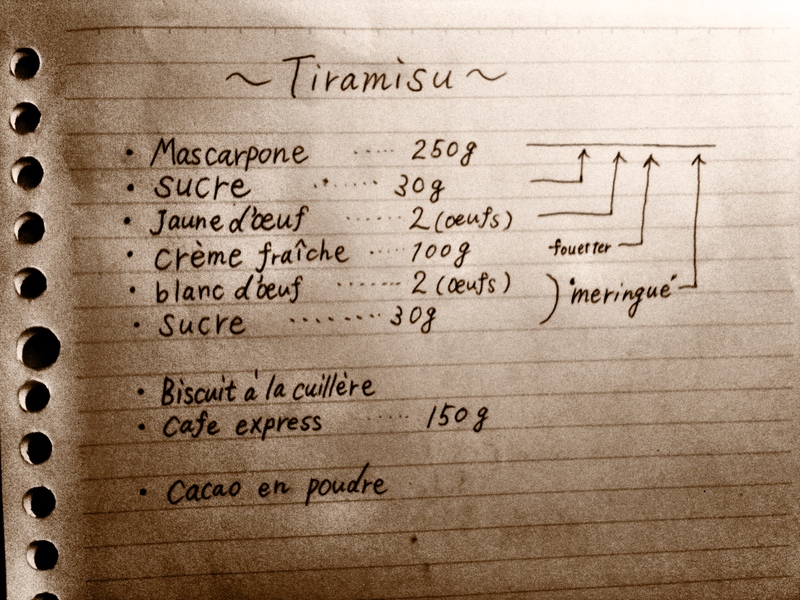 The tiramisu was actually really easy, and after sharing one batch with Rie, I made another one and ate the entire thing. 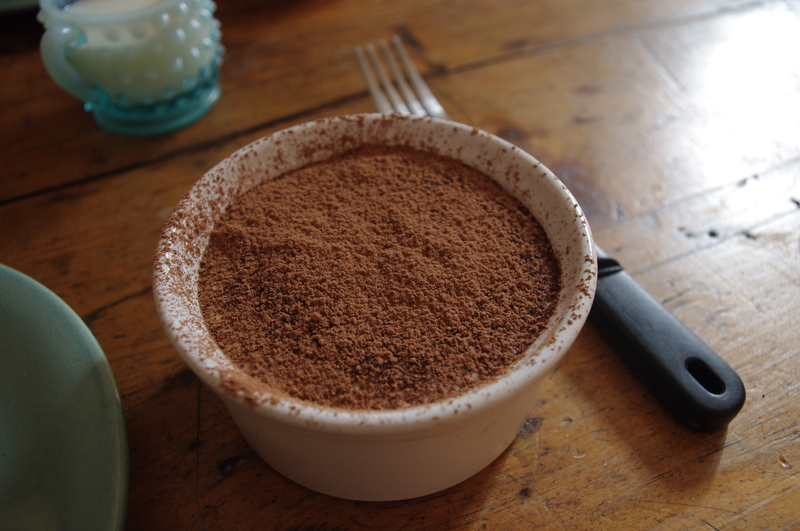 I am going to have to impose a tiramisu ration on myself. I love any excuse to get out my vintage dishes! 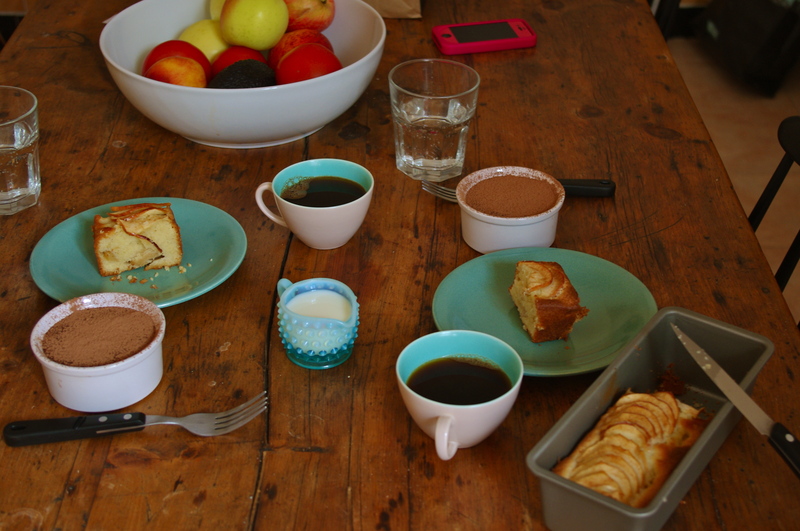 We had a really nice afternoon and got to practice our French over delicious homemade desserts and coffee. « The last day for flip-flops in Nice.